Striped , black sneaker shoe. Men's 9 1/2 size. 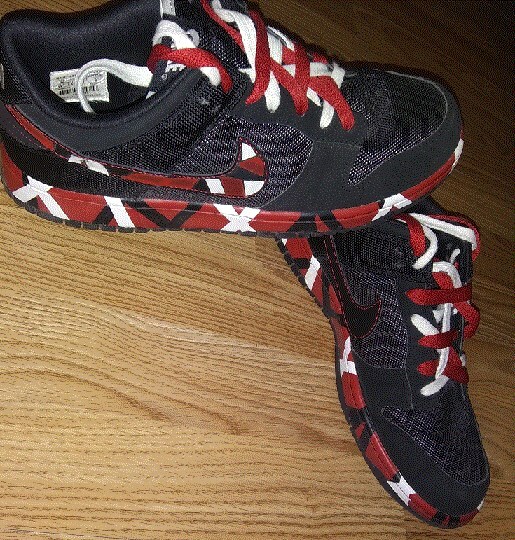 Swoosh design, with black, red, white striping. Also, red, white interlaced lacing. A rocking monster of a shoe!